From standard concrete block to decorative masonry units, landscape retaining walls and paving stones, Anchor Block Company has the materials to meet any job requirement. Hedberb Supply provides a variety of landscaping supplies used to make you project come together. 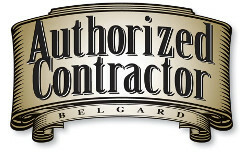 They provide arbors, pergolas, fire boulders, mulch and many other products we use to make your project beautiful. Gerten’s is a wholesale/retail supplier of landscape, hardscape, and other garden supplies for Nature’s Quest. County Materials is another compay we work with to get the highest quality materials for your landscaping project. They provide aggregate and natural stones along with outfdoor fireplaces, garden walls and edging. Kichler is a national brand known for their high quality lighting. They have a variety great lighting options for your landscaping needs.